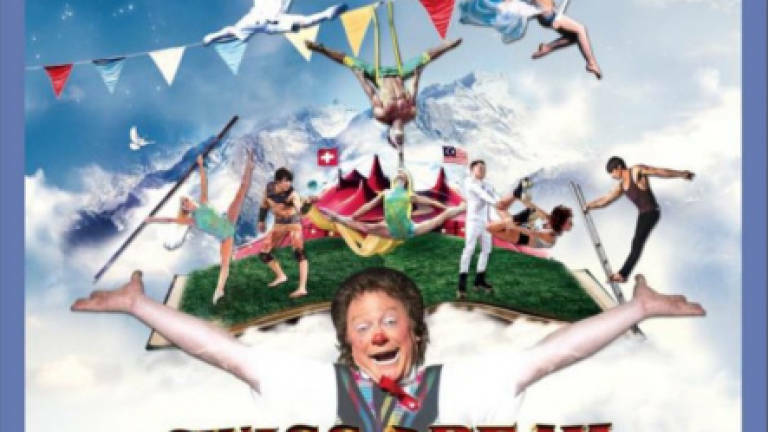 27 Sep 2017 / 18:16 H.
KUALA LUMPUR: The Swiss Dream Circus will kick off its fun filled third season in Desa Park City from Sept 29 to Oct 2, 2017. With incredible displays of acrobatic, balance, aerial stunts and thrilling acts, the Swiss Dream Circus is a show that is not to be missed. Presenting world class circus performers from all over the globe including Swiss clown Andre, Duo Alansia Aerial straps, skaters Uliana & Oleksil and Isidiro Navas from Ecuador with his death defying skywalk act.